There are three “actress” harps, as they are nicknamed, of the Museo dell’Arpa Victor Salvi collection. The loan of the antique harps to these important film production companies, confirms that the collection that can be admired at the Museo dell’Arpa Victor Salvi in Piasco, in the Saluzzo area, is a unique cultural heritage to the world. The first time one of the antique harps of the Museum collection was granted on loan for a film production was in 1998 for the film The Patriot, of Roland Emmerich with Mel Gibson. 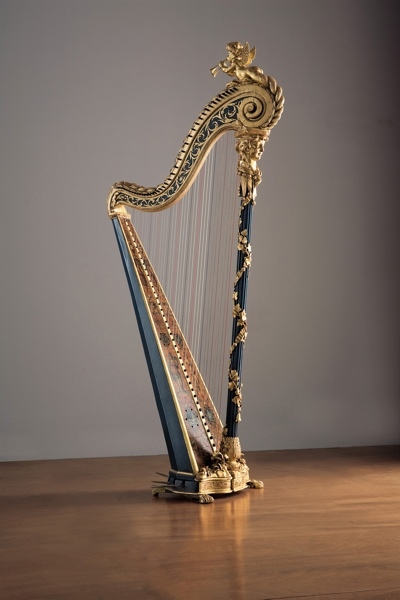 The harp in question is the SC0100 – Viggianese Harp – Viggiano, Italy, second half of the XIX century. Later in 2006, there was the loan for the most recent film of Marie-Antoinette by director Sofia Coppola, with Kirsten Dunst. 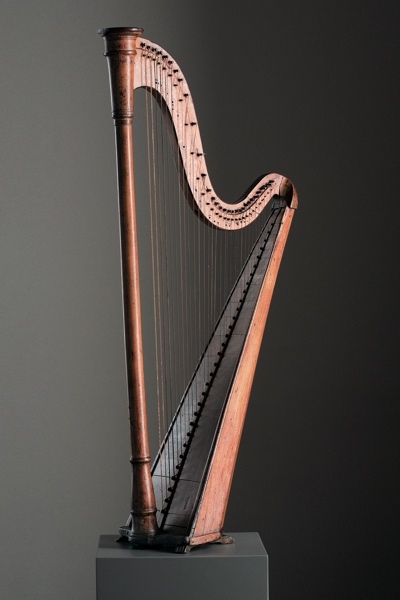 The harp granted for filming was the SC0200 – Jean Henry Naderman, Paris, France, 1783. This harp is characterised by extraordinary decoration: a winged cherub dominates over the column, with a scaly tail that goes down to the head of a smiling jester and ivy branches intertwine around the column. In the centre of the board, there are two figures of female exotic dancers. A year later in 2007, the loan for the French produced film Molière ou le comédien malgré lui, the second feature film by director Laurent Tirard shot in the castle of Lavigny near Paris. The shooting of the film about the life of the great French playwright took place in this wonderful castle near the French capital. Moliere is played by Romain Duris, and alongside him are Laura Morante, Fabrice Luchini and Ludivine Sagnier. 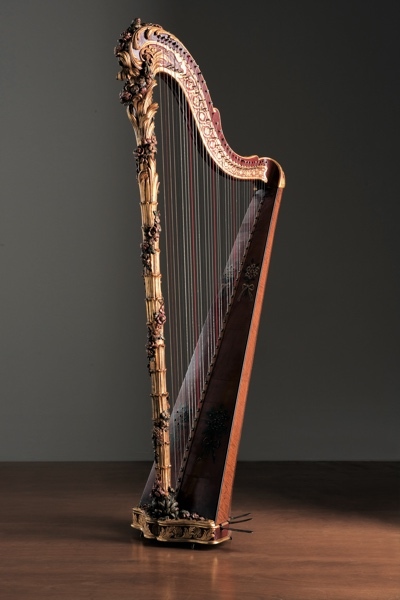 The harp granted for this important French production, SC0690, is a particularly beautiful harp by an anonymous manufacturer, dated circa 1760. It is a single-action pedal harp that stands out for its luxurious decoration. The extraordinary carving of the garland of flowers that wraps around the golden column is to be noted; when the harp was found, it was entirely covered with a coat of a yellow-gold colour: once this paint was removed, the precious polychrome that sets it apart was restored.